Owing to our in-depth knowledge in this domain, we are specialized in providing RCC Cement Divider. Owing to our industry experience, we are able to able to cater to the requirements of the clients by manufacturing road dividers. We manufacture road pavers on demand for Highway, internal road, city road in M15 Grade M25 grade M30 Grade .These are manufactured with precision using quality kerbstone. 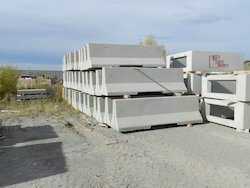 We are the foremost firm, actively betrothed in presenting an extensive range of RCC Road Divider. These are developed from the premium quality material keeping in mind the set values of market. 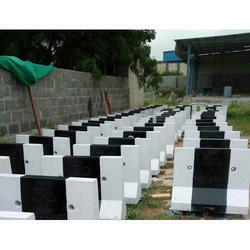 We are offering RCC Road Dividers to our clients. For the diverse requirements of our clients, we are involved in offering a wide assortment of RCC Divider. As per the needs and requirements of our clients, we are involved in providing RCC Road Divider. Being a customer oriented enterprise, we are engaged in providing a wide array of RCC Divider. Owing to the efforts of our skilled professionals, we have been constantly engaged in offering a qualitative assortment of RCC Road Divider.